We are required by law to carry out Gender Pay Reporting under the Equality Act 2010 (Gender Pay Gap Information) Regulations 2017 which involves carrying out six calculations that show the difference between the average earnings of men and women in our organisation. The data produced does not include the publishing of individual employee data. Each of these have been calculated using standard methodologies to enable comparison across the wider economy and I am pleased to report that whilst we still have some work to do, we compare well against other employers. 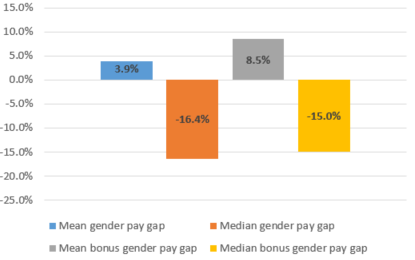 EasiDrive is committed to equality of opportunity and rewarding success and and we are pleased that a gender pay gap of 3.9% in 2018 has fallen from 6.7% in the prior year. We are also delighted that our gender pay gap is much narrower than that of the wider economy which at the time of writing is reported as 17.9%. 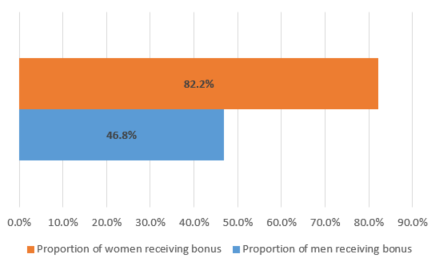 The mean bonus gap reveals a 8.5% split in favour of males, however this figure is influenced by bonus payments at board level from the previous year where there was a higher number of male directors. 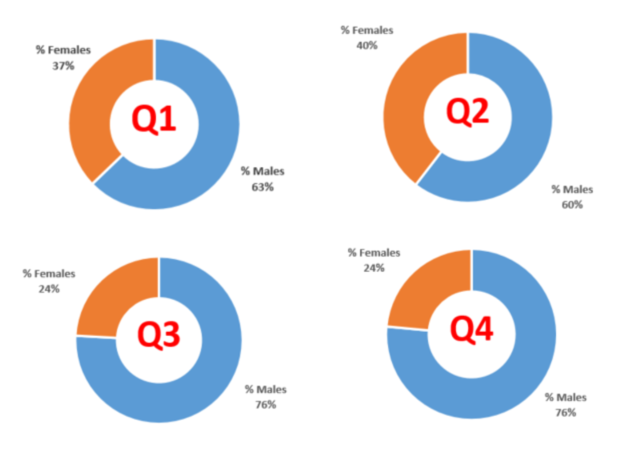 Our operation is a heavily target driven environment with 82.2% females receiving a bonus compared to 46.8% of men, this split is mainly due to our driver population that primarily is made up of male staff and this role doesn’t carry any bonus entitlement. ability to buy and sell additional annual leave. I am pleased with our results, the analysis and commentary demonstrate our commitment to providing a great place to work for all our staff and we will continue to make changes where we see opportunity.